Honda transmission service is pertinent to helping your Honda CR-V or Accord run reliably and prolong its life. The technicians at Clawson Honda of Fresno can service your vehicle's transmission and make any necessary repairs. Plus, our Honda service center in Fresno, CA, has genuine Honda parts for sale so that the components in your vehicle can be swapped out with high-quality OEM parts. Regardless of what kind of transmission is in your vehicle -- automatic, manual or continuously variable transmission (CVT) -- we can provide your Honda with the expert care it deserves. At times it can be difficult to know if your transmission needs service. To stay on top of maintenance, follow the factory-recommended service that's outlined in your owner's manual. We can inspect your transmission and confirm it's working as it should, or if any maintenance is required we can make sure it gets done. Regular preventative transmission maintenance can keep your Honda transmission running at its best, so you can continue to enjoy cruising across the highways and byways of California unimpeded. If your transmission is giving you any issues you can schedule a proper diagnostic check at our Honda service center. 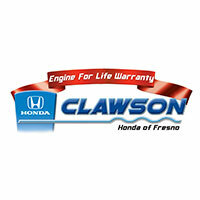 The Clawson Honda of Fresno service center employs expert technicians who know your vehicle inside and out. We'll repair your vehicle and get it back on the road in no time. Don't delay in scheduling Honda service -- a proactive approach that includes regular preventative maintenance is the best way to prolong the life of your vehicle.